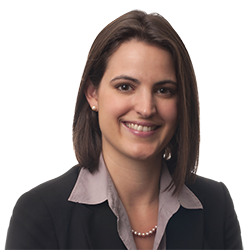 Erin M. Reid-Eriksen | Littler Mendelson P.C. Prior to joining Littler, Erin gained extensive experience in social welfare cases working at the New Haven Legal Assistance Association in New Haven and at the Arthur Levitt Public Affairs Center in Clinton, New York. In law school, she was executive editor of the Harvard Women's Law Journal and served as a student instructor for the Board of Student Advisers. Four Headaches Facing Multistate Employers in the U.S.